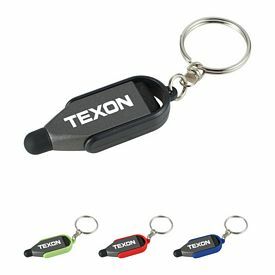 The Executive Advertising carries a variety of promotional screen sweeps that your customers will love. Computer and phone screens need to be cleaned on a frequent basis. You can give away customized screen sweeps to your customers to make this an easy task. These useful custom screen sweeps will help your build a great relationship with your customers. These imprinted screen sweeps will help your company show its customers how much it cares for them. We are confident that you won’t be disappointed with our promotional screen sweeps. We have many different custom screen sweeps available, so take your time in choosing which ones will work best for your company. Consider advertising with our Retractable Computer Brush screen sweeps. 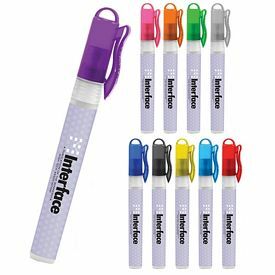 These imprinted screen sweeps have a translucent colored plastic housing with a slide lever closure. 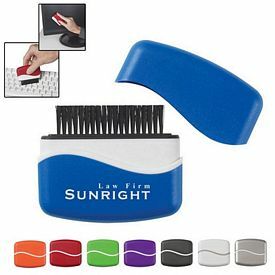 These promotional screen sweeps are constructed with a brush that has non-static 100% nylon bristles that will help your customers keep their computers dust-free. Our custom Clean & Sweep with Jiffi Slitter Letter Opener is great because it combines two tools into one. People will love keeping these personalized screen sweeps at their homes and offices. By advertising with our custom screen sweeps, your company will receive great exposure. These personalized screen sweeps are sure to help your company grow and increase its reputation. 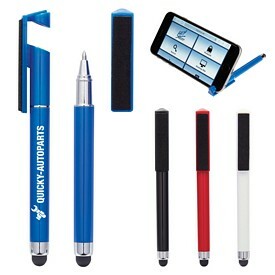 Another great product that you should check out is our Stylus and Screen Cleaner. These imprinted screen sweeps also have a stylus on them so that your customers can use their smartphones and tablets with ease. We also have a Screen Cleaner Spray 10 ml Bottle. This spray can be used to clean things like laptops, computers, cell phones, and even eye glasses. 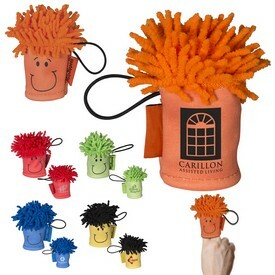 Our custom Bristle Buddy Computer Duster is a cute customized screen sweep that your customers will love. 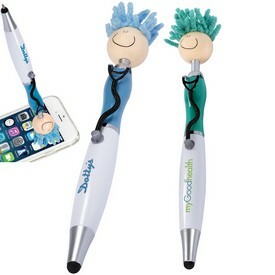 Your customers will see your company’s name each time they use this fun little guy, and they will appreciate your company providing them with such a useful gift. 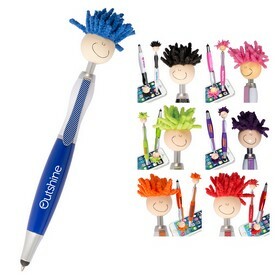 Mr. Highlighter is a novelty 5-in-1 product with four different colored highlighters and one computer cleaner. 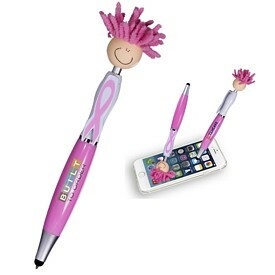 These promotional screen sweeps will help your company leave a lasting impact on its customers. Custom screen sweeps customized with your company logo from The Executive Advertising truly are a great way to advertise. We do not charge any setup fees on our promotional screen sweeps, and many of these products also come with free 24 hour production rush offers. Browse through our website in order to learn more about or logo screen sweeps. 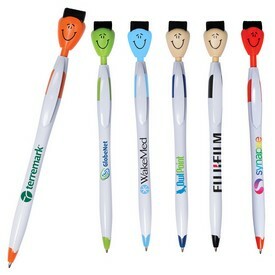 Make sure that you are well-stocked on our personalized screen sweeps before your next tradeshow or promotional event. Order customized screen sweeps from The Executive Advertising today!